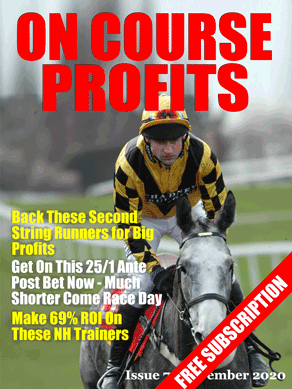 The purpose of the Betting School Insiders Club is to ensure our members make money from their betting. But rather than just giving selections for members to bet blindly we are totally transparent with our selection process and show members step by step how we created each of our selection profiles. 1. A daily email detailing the days bets, which system or profile identified them, what we think of the selection, the best price that is available and where to get it. 2. Monthly members report where we detail our research the systems and profiles we have uncovered and the past results that support the methods.This report is also where we share trading strategies, arbitrage strategies, horses to follow, trainer trends to follow and strategies and systems for other sports. The members report is a printed 50 page journal, with no adverts and no filler it is packed with systems and strategies. 3. Access to the members area and forum. Here members can follow the methods that we are trialling that have not yet made it to the Portfolio. They can discuss ideas with our experts and staff writers and if they wish can share their own selections and ideas. The members area also contains our archive of systems, strategies and videos. For immediate access Click Here and register today.